You can have feedback results in real-time at your event. 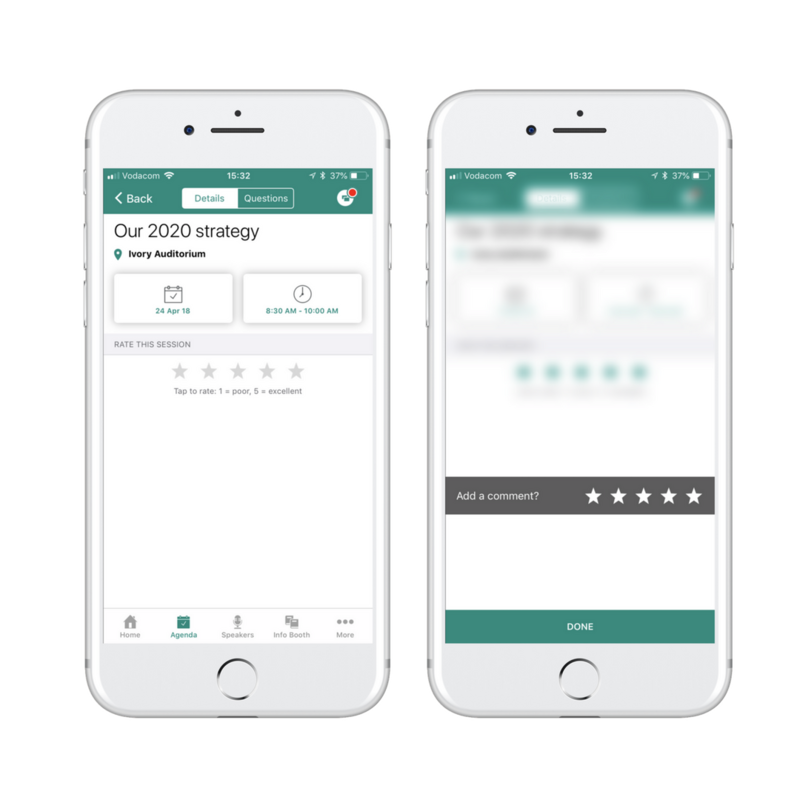 Your event attendees can use our built-in session feedback feature to provide their feedback by completing a star rating and/or a text review of individual sessions and speakers. Your attendees can complete the session feedback during the session or will automatically be notified via push notification after the session ended to complete their session feedback. To activate session feedback for an individual session open the session inside your agenda and enable session feedback at Interactivity. You'll need to enable session feedback for each session separately. The session feedback report is available to download directly from your App Dashboard. Go to your Reports and select the button 'Request Report' at Session Feedback Report. It takes about a minute to compile and you'll receive a download link by email.